This week’s blog is written by guest blogger Lisa Eliason. Her journey is similar to my almost 40 years of life with atrial fibrillation as well as related and unrelated health issues. Eight weeks ago, at age sixty-four, I had a total hip replacement. Every day last week I walked 10,000 steps and am now riding an exercise bike. I feel great. The journey here has been long and arduous and started almost seven years ago. In 2012, at age fifty eight, I was a physical wreck. I was overweight. I was suffering from sinus issues and constantly congested. I would awake at night gasping for breath. I tried a yoga class to lose weight but just ended up hurting myself. My doctor said I pulled my groin muscles and started me on a regime of physical therapy. That didn’t help. My aunt, who I mirror health wise, believed the pain in my groin to be arthritis in my hips. She had hip replacement surgery at just about the age I was then and said her pain started in her groin. I didn’t think that it was possible, so I ignored her advice. For me, the sinus issue seemed to be the first issue to tackle. I decided to undergo sinus surgery. When the surgeon put me under, I had my first major episode of Atrial Fibrillation (Afib). I had been having minor episodes for months that my doctor said was “nerves.” The surgery was stopped and I didn’t go back. After that the race was on, literally. I had at least one Afib episode every day. Sometimes I would also have one at night and fall asleep praying that I would awake the next morning. My mother died at forty-one and I was pretty sure I wouldn’t live much longer. My aunt, who had also had Afib and ablation surgery, assured me I wasn’t going to die from the Afib. I saw my aunt’s electrophysiologist for the Afib, tried medication and then decided on heart ablation surgery. When the electrophysiologist put me under for the heart ablation he didn’t need to stimulate my heart, I went into Afib. The surgery was a success. I haven’t had any episodes of Afib since. I changed my diet, lost weight and started walking. My sinuses cleared up, but the pain in my groin continued. I had osteopathic manipulation and saw a chiropractor. No medical professional suggested a problem with my hips. My aunt’s words came back to me and during one session with the osteopathic manipulator, I asked if I could have structural problems in my hips. He stopped the manipulation and ordered x-rays. Sure enough, I had severe osteoarthritis in my left and moderate in my right. I needed a total hip replacement. I was afraid of having a hip replacement. The two prior times when I went under for surgery, I went into Afib. So for a year and a half, I tried injections and medication. In her book, In a Heartbeat, my aunt Rosalie Ungar describes how her heart stopped during hip replacement surgery and she had a pacemaker inserted. I decided to have the hip replacement but not in our town that has quite capable orthopedic surgeons. I decided to go to the hospital where my ablation had been performed. All of my medical records were there and just in case something went wrong, the doctors would know what to do. So here I am today. I am not saying this will be my last health issue but reading blogs like this and Rosalie Ungar’s book, In a Heartbeat, have helped me on my health journey. This entry was posted in Blog on January 20, 2019 by Mark Layman. 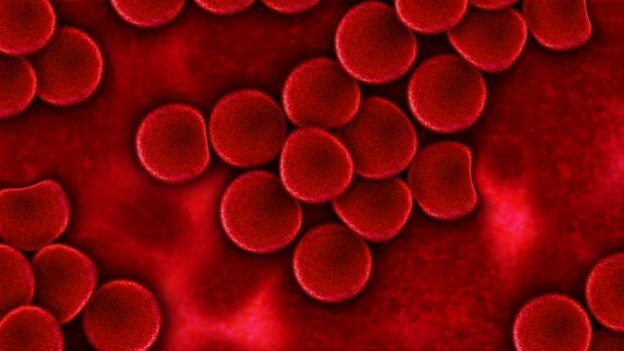 As promised in last week’s blog, expanded information on blood thinners will include my experiences with the new generation of blood thinning anticoagulants. All of this information and more can be found in my memoir: IN A HEARTBEAT: The Ups & Downs of Life with Atrial Fib. In 2007 I had an ablation to get rid of the 5 electrical pathways causing my atrial fibrillation. In 1980 when I felt A-fib for the first time, I didn’t know what it was and proceeded to ignore it as long as I could. I hoped that it would get better or go away totally. It didn’t. Though the bouts I felt were sporadic, eventually they became longer and stronger. My electrophysiologist told me that atrial fib begets atrial fib. A stroke was in my future. Protection from a stroke was the blood thinner, warfarin, to keep from forming a clot, and an anti-arrhythmia, amiodarone, to keep the heart in rhythm. The pacemaker kept my heart rhythm from going too low. It was not effective if I went into atrial fib rhythm over 180 beats per minute. My hopes relied on a new procedure called an ablation. The ablation was a success…mostly. Only 4 of the 5 electrical pathways could be ablated. The 5th one was too close to the esophagus and there was a danger of damage occurring if the procedure went that close (with the technology available in 2007). I was feeling good for the first time in years. My doctor kept me on a lesser dose of warfarin for another year, a good call. Six months after the ablation, the 5th electrical pathway, close to the esophagus, showed up during a routine pacemaker check. It was causing havoc showing 500 short episodes of atrial fibrillation. I was put on a different anti-arrhythmia, sotalol. It worked. It’s still working. I haven’t been in A-fib for 11 years. Pacemaker checks would report if I had been. Life was great. During my yearly checkup with the electrophysiologist in 2013, he announced that I should go back on a blood thinner. You are over 75, 1 point. I reminded him that was only 3 points and since I hadn’t had atrial fib for 12 years I felt safe from a stroke. We compromised: I carry an undated prescription in my wallet for a new generation blood thinner, apixaban, brand name Eloquis, if I go into A-fib for more than 6 hours. He updates it every year. It’s been 6 years. The new generational blood thinners aren’t old enough to have generic replacements and they are expensive. Even with insurance, co-pays can be as high as $400 per month. Manufacturers will offer assistance for low income patients and patients on Medicare. It takes some searching, but can be worth it. My Mantra is to be your own advocate. Know your own body. Make your own educated medical decisions based on what you’ve studied. Ask questions. Don’t stick your head in the sand. 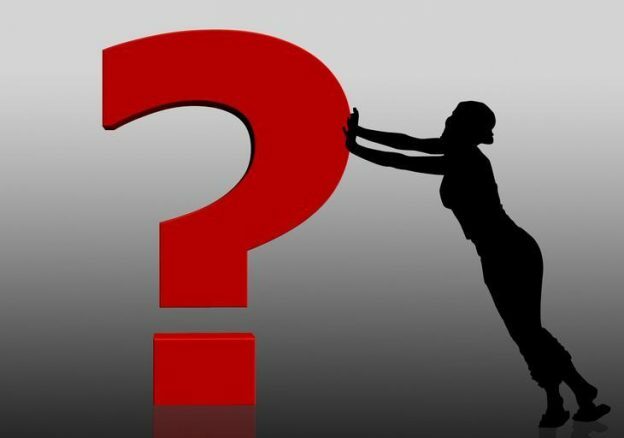 Beware of a natural decision to delay treatment and pretend, as one of my friends did, that the diagnosis can be ignored. We’ve all done that and sometimes it can be deadly. Establish a working relationship with your doctor(s). If you have a communication problem with them, discuss it with them. The question I get most from readers is about what to do if you and your doctor don’t agree—to be covered in a future blog. In a Heartbeat is available on Amazon in paperback and Kindle formats. The book is also available at Barnes & Noble as a paperback and Nook book. Digital versions are available on Kobo and iTunes. Also available as audio book from Amazon and Audible. This entry was posted in Blog on January 13, 2019 by Mark Layman. Treatment for patients with atrial fibrillation usually begins with a blood thinner. If the patient feels A-fib, it can be in the form of anxiety, shortness of breath, irregular heartbeat or none of these. For me, I was taking my pulse after a workout in an exercise class. When I found the heart rhythm at the inside of the right wrist just under my hand, it felt like a fluttering bird. Then there was a pause of nothing at all. I pulled my hand away from my wrist. I decided to forget about it. That was 1980. Two years later during a routine exam with an endocrinologist for a thyroid problem, it happened again. The doctor immediately sent me to a cardiologist. I was very tired and didn’t feel good. She told me that I was in atrial fibrillation and could have a stroke. That was the beginning of a long journey. Read more about it in my memoir IN A HEARTBEAT: The Ups & Downs of Life with Atrial Fib. In the 1980s and until not long ago, warfarin was the only blood thinner used for heart arrhythmia problems. Coumadin, an anticoagulant, is the brand name for the drug warfarin. It must be regulated and checked every week or 2 with a lab blood test measuring the patient’s INR. Too much or too little can be dangerous. Levels of 2.0 to 3.0 INR are preferred for patients taking Coumadin. Side effects can vary with diet, other meds, cuts, bruises and more. I took that drug for 12 years. Warfarin, the generic name for Coumadin, is also the key ingredient in rat poison. It has been since before it was used as a medication, even during the 12 years I was taking it. My husband Ed, who reads a novel a week, loves mysteries. Usually in a mystery, the storyline includes a murder. In one of the recent novels, he read that the murder weapon was warfarin. The victim’s food was laced with large quantities of the blood thinner to induce bleeding which caused death. In the story, the mysterious cause of death was found during the autopsy. The murderer was exposed when large quantities of the poison were found in her possession. A variety of blood thinners are now on the market. It’s only been a few years since they’ve advanced but they have changed the way atrial fib is treated and managed. If you watch TV, you’ve probably seen ads for some of the other brands. They all have side effects…some very few, others more severe. Costs and co-pays vary as do directions for starting and stopping their use. Next week’s blog will include more information about the new generation of blood thinners and my experience with them. Meanwhile check out my book IN A HEARTBEAT: The Ups & Downs of Life with Atrial Fib now on audio book and all forms of digital and through Amazon. This entry was posted in Blog on January 6, 2019 by Mark Layman. Rosalie Ungar is the author of IN A HEARTBEAT: The Ups & Downs of Life with Atrial Fib. This blog was first published on March 4, 2018. The progression of safe and common heart procedures and new equipment and technology is amazing. Almost 20 years ago I had a heart attack while giving a speech about heart healthy foods. Did I have any warning? Yes. Six weeks before that I had similar chest pain while boarding a plane to visit my children and grandchildren. The pain went away after a few minutes but it left me tired and with a sore chest. I did nothing about it even though I had suffered with and was in treatment for atrial fib. You can read the whole story IN A HEARTBEAT: The Ups and Downs of Life with Arial Fib, a memoir. Click here. Besides being stupid about the initial chest pain episode, I was lucky even though I was halfway across the country at the time. My thinking was that it was a new wrinkle in my long history of atrial fib. Then I was told that atrial fib had nothing to do with the heart attack. Now research has discovered that everything including atrial fib has to do with heart attacks: thyroid disease, diabetes, smoking, diet, exercise, gender and genetics. Care and condition of teeth, blocked arteries of the eyes and, of course the biggie…stress. All of this including medications have major impact on heart disease. 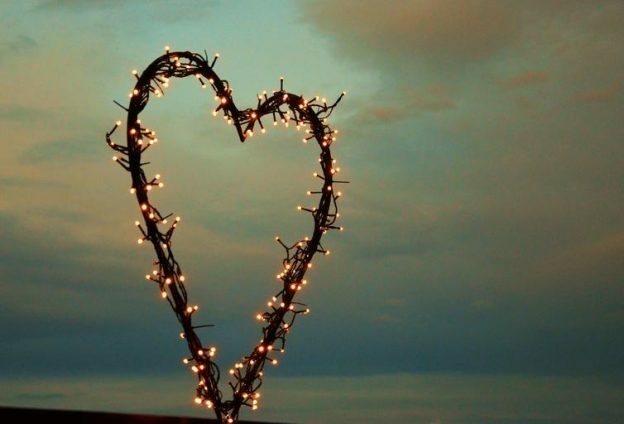 The heart is a complicated organ. Twenty years ago it was discovered that my heart attack was caused by a blockage in the major artery on the outside of the heart sometimes referred to as ‘the widow maker.’ Actually it’s the left anterior descending artery. I was scheduled for open heart surgery, but because it was a single artery bypass and in location of easy access, I was a candidate for a then new surgery developed by Dr. Randall Wolf. He was on loan to OSU, a teaching hospital, to instruct his procedure to other endoscopic coronary surgeons for a less invasive bypass surgery. Instead of ‘open heart’, a small incision was made under the left breast and a robot was inserted tying off the mammary artery to bypass the blockage. It didn’t take long and I was home 2 days later. Now 20 years later the robotic heart surgery has held and I have improved my lifestyle by weight loss, healthy diet, careful attention to my meds, a dedicated exercise program and marrying Ed. It appears that the robotic heart bypass has in part been replaced by the stent, but 20 years ago there was something similar called the ‘balloon’ to clear the arteries. My cardiologist at the time told me that the artery blockage I had was filled with ‘junk’—a combination of calcium, plaque, cholesterol and ‘stuff’ that may have been accumulating since I was a teenager. A few years ago an echo cardiogram revealed that I have no evidence of any heart damage from my heart attacks. I am told that eliminating that muscle damage is rare. I see its success from my lifestyle changes, especially exercise. This entry was posted in Blog on December 30, 2018 by Mark Layman. Rosalie Ungar is the author of IN A HEARTBEAT: The Ups & Downs of Life with Atrial Fib. This blog was first published on October 22, 2017. My health decline began in 2011 when I was 57. I started experiencing shortness of breath. Then came heart arrhythmia and sleep apnea. Sinus issues followed with almost constant congestion and infections. Then the atrial fib again. I also had a bevy of auto immune ailments that included a bout with Shingles, a viral infection that causes a painful skin rash. Physically I started experiencing pain in the groin. I now know that was the beginning of my journey toward hip replacement. However, at that time, the diagnosis was a pulled groin muscle. Physical therapy helped me. By 2014 I was a physical mess. I took the ‘bull by the horns’ and researched my ailments. The first thing was to take control of my diet. 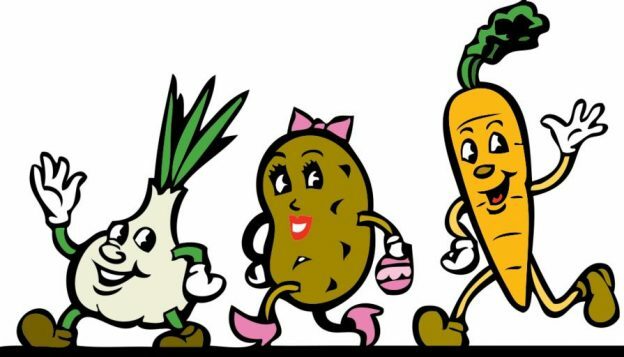 One book advocated cutting out 7 inflammatory foods. I did that and the nasal congestion lessened while the auto immune issues went away. I lost 40 pounds and started walking 2 miles a day. I had a cardiac ablation. It was successful. The sleep apnea went away. No more atrial fib. I had 2 good years, and then in 2016 when I was walking 4 miles a day, I came down hard on the left leg causing pain in my piriformis muscle, located in the buttock region. Physical therapy did help. I know that it was my hip, not my groin. In 2017 I came down hard on my weakened left leg again. I informed the doctor that my brother, who is 12 years younger, had both hips replaced at age 40. An x-ray showed severe osteoarthritis in my left hip and moderate in the right. The left hip is bone on bone. Two different doctors said I am headed toward hip replacements. I wasn’t shocked by the diagnosis. The shock came after a routine blood test when I learned that I am pre-diabetic. My brother has diabetes. Genetics again. Perhaps if I hadn’t taken such good care of myself in my 40s and 50s, I would have faced new health issues sooner. Being aggressive about my health issues, I recognize they are not going to fix themselves. Neither will a pill. 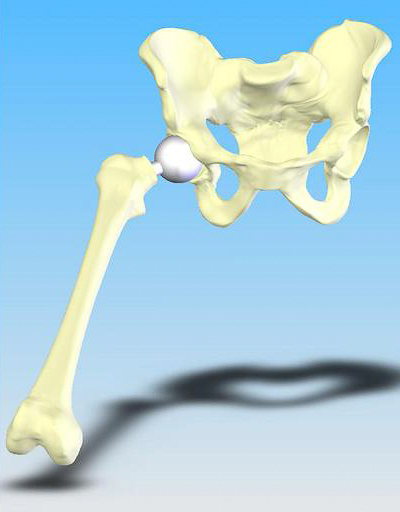 I’m going to get that hip replaced now so that I can get back to my exercise. I have been proactive and that has made all of the difference. Attitude is everything! Thank you Lisa for your contribution. Read more about multiple health issues IN A HEARTBEAT: The Ups & Downs of Life with Atrial Fib. This entry was posted in Blog on December 23, 2018 by Mark Layman. Two months ago I wrote in my weekly blog that Ed, my husband, has been diagnosed with atrial fib. Almost 83, he’s been in good health with considerable energy levels and no broken bones except for a broken ankle 25 years ago. He exercises daily and eats a healthy diet. His A-fib was discovered during a routine physical exam. He was promptly scheduled for tests and appointments with an electrophysiologist at a major heart hospital that services a large area of our state. 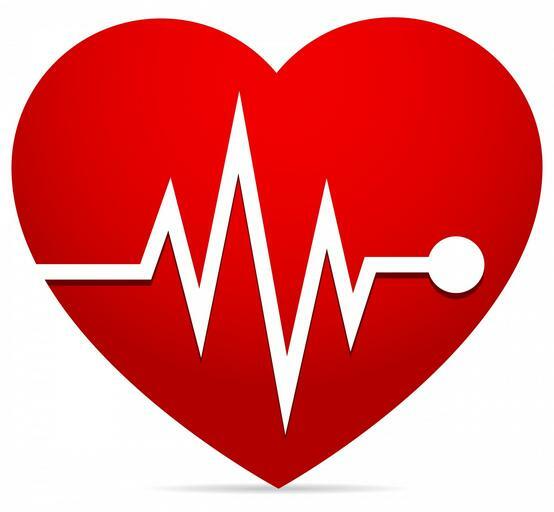 It’s important when diagnosed with a heart problem that treatment be given by a specialist in a hospital with physicians covering all heart problems. For example: Ed’s doctor is not just a cardiologist, he’s an electrician, specifically an electrophysiologist who takes care of keeping the heartbeat going and at a regular rhythm. Patients with an arrhythmia or irregular heartbeat should be in treatment with an electrophysiologist. Often a heart hospital will suggest and recommend one. Before making the choice, go online and check out the hospital, the doctors and even patient reviews of the doctors in their specialties. Our heart center has specialists in sleep apnea. Many atrial fib patients suffer from it. This is potentially a serious sleep disorder in which breathing repeatedly stops and starts. Sleep apnea tests can be diagnosed at a sleep clinic requiring the patient to stay overnight hooked up to a table top monitor with a small mask. Or, it can be taken with a home monitor using a small battery operated case strapped to the chest and attached to plastic tubing going to the nose. Both gather data for breathing patterns. Neither causes sleep deprivation. Ed is going for treatment at our heart center with sleep apnea specialist, Dr. Rami Khayat. Sleep apnea is more common in men than women and often accompanies heavy snoring. It is prevalent in ages 41-60 and more prevalent for those over 60. It also frequently accompanies obesity. However, Ed is not obese, nor does he snore. My niece, a guest writer for these blogs, had sleep apnea while getting treatment for atrial fib. She lost the excess weight and her sleep apnea went away. Ed has been scheduled for a heart ablation early next year. He and I are both confident that this will relieve the atrial fib. I had atrial fib starting, as far as I know, in 1980. I lived with it as it got worse for 27 years before I could have an ablation. I haven’t had it since, almost 12 years. 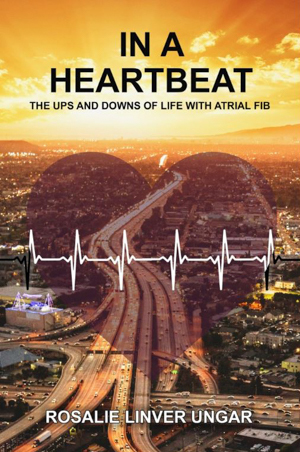 Find out all about A-fib in detail by reading my most recent memoir IN A HEARTBEAT: The Ups & Downs of Life with Atrial Fib, now in paperback, digitally or in audiobook. And, if you have A-fib, get treatment. Without treatment you could have a stroke. This entry was posted in Blog on December 16, 2018 by Mark Layman. My new word for ‘exercise’ or the ‘e word’ is now ‘body movement’. I’m discovering that the ‘e word’ frightens and intimidates many adults of all ages if they have normal family commitments, a demanding job, aches and pains or are frequently tired and depressed. I’ve had them all as well as just being lazy. 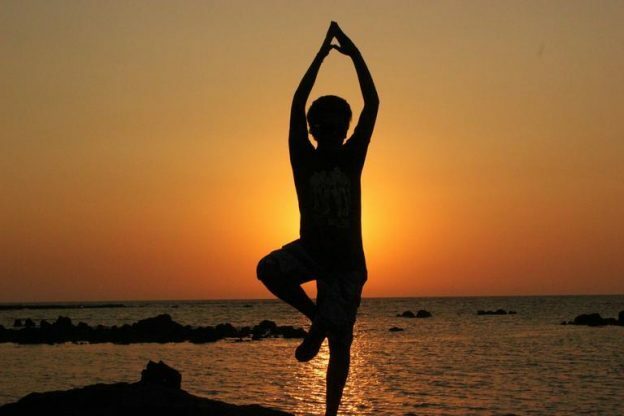 However, I’ve always felt better and with elevated energy when I have a body movement routine. I do feel that my past body movement routines have helped to keep me out of atrial fib for 11 years. One year ago I stopped using a personal trainer. I had developed a pain down the side of my left leg and irritable bowel syndrome. I tried going to an ‘e’ class but had more leg and some back pain when I did, so I stopped altogether for several months. I went to a chiropractor for treatment over a 3 month period. Along with an activator device to help spine related parts, he gave me some mild body movements to do as illustrated in a brochure. I’m able to do them in my pajamas in the morning on the floor or in my bed or standing while holding on to a wall or table. They took 7 minutes and nothing hurt. Then Ed decided to do them with me. He had a more rigorous ‘e’ routine and his 82 year old body had just been diagnosed with atrial fib. We did the body movements together as Oscar, the cat, watched from the foot of the bed. That was 6 months ago. We do more stretching movements and increased the time to about 20 minutes. It’s actually fun. We added a 15 second plank on the floor, 10 squats from a bench and pushups, not on the floor but from a table or the wall. The back is better but I still use a heating pad while watching TV in the evenings, never sleeping with it though. Leg pain is gone and the irritable bowel syndrome is much better, especially if I continue to eat small amounts of foods that I know won’t irritate my insides. Best of all, the only body part that hurts is the right hand. That’s from carpal tunnel, scheduled for surgery December 17th. Ed feels better from the daily body movements too. More next week about his atrial fib, sleep apnea, meds and his upcoming heart ablation. Attitude is everything along with body movement. Meanwhile read my memoir, IN A HEARTBEAT: The Ups & Downs of Life with Atrial Fib. This entry was posted in Blog on December 9, 2018 by Mark Layman.